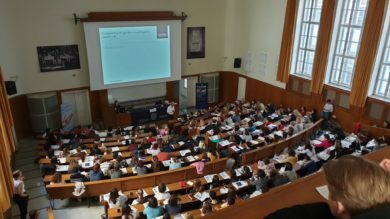 Over the last few years our conference has become the largest event for language teachers in the Czech Republic. We can proudly say, that this 8th year, with the title “Modern Approaches in Language Teaching and Learning” was again a success. 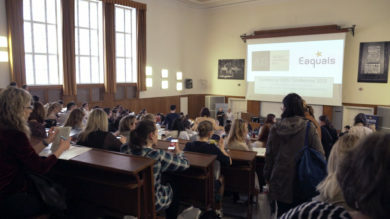 Despite the fantastic summer day outside we managed to attract almost 500 attendees – mostly teachers from elementary and secondary schools, universities and private language training centres. 33 presenters gave 41 presentations on various topics. In addition to English sessions we also had presentations focusing on German, French, Russian and Czech. Most popular lectures/seminars were those given by Clive Oxenden, Daniela Clarke, Gregorz Spiewak, Martin Jelinek, Tomas Graf, Andrea Eskisan. 23 organizers were available on the spot all day. Based on the replies from the feedback forms that we collected online the attendees appreciated among others the number and variety of presentations to choose from, the conference location (historical building with a perfect view to Prague castle), as well as the entire organization including our new online registration system, the clear and visible orientation system in the building (the lectures took place on 3 floors in 9 rooms), number of organizers at hand, always willing to help with a smile on their face, smooth and efficient lunch packs distribution, etc. The conference attendees also benefited from the possibility of networking during the lunch break and coffee breaks and the overall atmosphere in the whole building was very relaxed and friendly. We also had 27 commercial partners of the conference (mostly publishers) who offered their products and services at the conference exhibition and also gave our free samples of their textbooks. We are already looking forward to the 9th conference that will take place next year in a similar setup. AJŠ would hereby like to thank EAQUALS for their financial support and for providing us the excellent Nergis Uyan as a speaker.